We are proud to partner with the following publishers whose materials have been reviewed by Dr. Richard Gómez Jr. and are recommended to facilitate "fidelity of implementation" in Gómez and Gómez DLE classrooms. We hope you find these instructional materials, books, and other products as excellent and useful as we and other classrooms across Texas have found them to be. If you are a publisher (or know of one) with an appreciation and commitment to biliteracy, multi-culturalism, bilingualism, and academic best practices, and would like to discuss a partnership, please contact Dr. Richard Gomez Jr. at (956) 455-3198. Each classroom should have AT LEAST 20-25 labels. English Labels must be in BLUE (or on blue paper) and Spanish Labels must be in RED (or on red paper). Label items in your classroom with grade appropriate vocabulary. 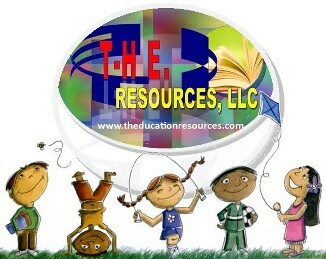 In order to help you get started on your labeling, we have the following labels available for download. We only have labels for PK-1st Grade at the moment, but you will find a 2nd grade starter list of vocabulary words to jump off from below. Cognates play a substantial role in the Gómez and Gómez Model. A majority of content-based vocabulary that students in dual language enrichment classes are exposed to are cognates. When students recognize the cognate, they are enriching their "biliteracy", We are lucky to have had Dallas ISD share the following extensive list of cognates that they developed with all dual language schools. Please feel free to use it as an instructional resource to support your implementation of the model. 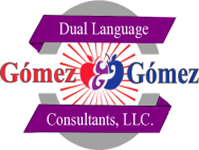 Aside from the list of cognates found above, Dallas ISD has also generously shared the following documents known as the "Dual Language Weekly Focus" that are designed to provide opportunies for schools and districts to engage their staff in a deeper understanding of the key components of the Gómez & Gómez DLE Model throughout the year.